After weeks of working through a few things, I finally have time for a post! I thought I'd get my palate back in shape by doing a review. The weather has been crazy lately- in the 70s last week and this week we woke up to temps in the low 40s. Rain, damp, and cold already starting to seep into the bones. 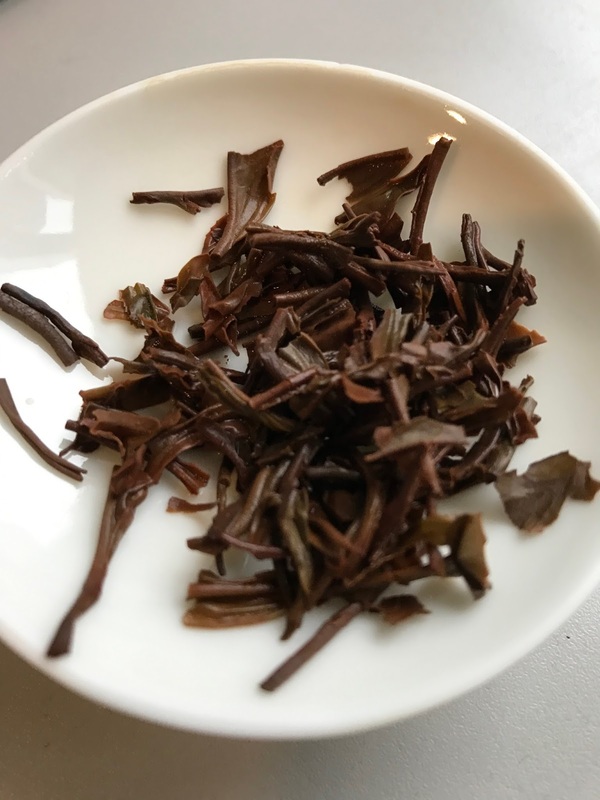 I always crave black teas when the temps start to drop, I just can't get myself to steep anything else without first having a few cups of something smacking of malt or dried fruit. So, I decided to try Rwanda Rukeri from Adagio. I chose this sample a few months back since I haven't tried a tea from Rwanda before. The dry leaves are sweet and woody. I also noticed dried raisin. The infused leaves have a malty aroma which reminds me of this sweet Japanese white bread I love called milk bread. Toasted up it's sweet, starchy, and crunchy. Very comforting. The brewed tea is malty like Assam but it doesn't have the deep honey flavor I usually associate with it. The aroma of the tea also has that toasted milk bread thing going on. There is also a hint of a spice, I keep imagining cinnamon but I'm not sure if that's exactly what it is. This tea is quite sweet, but in a lighter way, not as deep. It's a little bitter which is something I enjoy, especially on a cold day. When I sip and close my eyes, I imagine delicate small branches of a maple tree right after shedding its leaves. 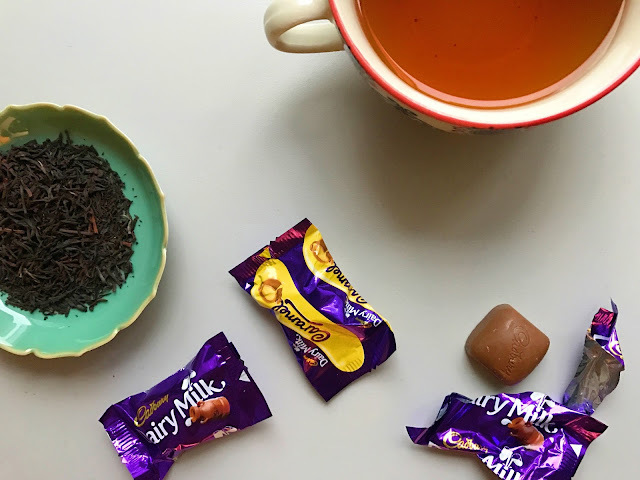 I ended up sipping this tea along with some milk chocolate that I brought back from London (you can see it in the first pic. British Cadbury chocolate is so so so much better than the stuff we have in the US). I thought the milk chocolate would highlight the sweetness in the tea, but it turns out it just enhanced some of the bitter notes instead. I'm still a complete newbie at tea pairings. This is a reasonably priced basic tea, and easy to drink. Good for the morning, but I think I'd prefer something with more nuance once I'm fully awake. 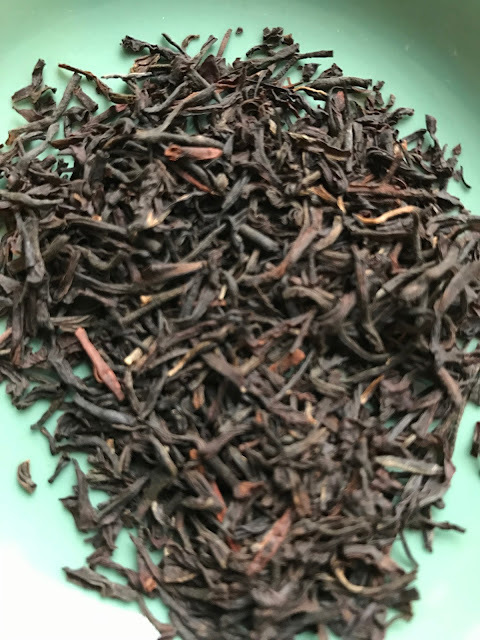 If you are looking for an affordable basic black tea, this one would certainly get the job done. Thank you to Adagio for providing the sample. I'm hoping to do a recap of my London trip next week. One of my experiences inspired a tea cocktail that I'm still testing out, and I look forward to sharing that as well!